One of my best friends got married at the end of August. One tradition is to take out the groom on a little adventure before the wedding. We kidnapped him by helicopter. The trip went far out to the archipelago. We other guys went boat. Once in place, he change into thong swimwear that was two sizes too small. It was very nice weather that day and probably 25C. The resort was full of guests, and he could not very well stand at the bar with half the package outside. He stood in the pool. The water which was 15-17C. He stood there with water to the waist for more than two hours. We provided him with second shots so he would not freeze too much. After ten shot, he was braver and went out of the water. Then it was suddenly no problem to mingle with other guests. The afternoon ended with him having to go up to cover the band on stage. He made ​​an old Elvis song to audience cheers. There were more than 1000 people on site. My legs had become even worse. I had difficulty walking unaided again. Although there were still many improvements for CCSVI in April. I was not as tired and did thus not sleep as much. Memory and cognition worked like clockwork. I started to learn how the energy would be distributed to last as long as possible. The most important part was to plan and not do anything impulsively. With good planning and assistance from others, I could be almost a whole day. It is assumed of course that day after was a day to rest. 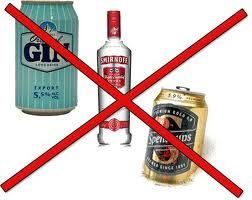 It also meant that abstain from alcohol whenever possible. Alcohol add on the same symptoms as MS. I am drunk without drinking.